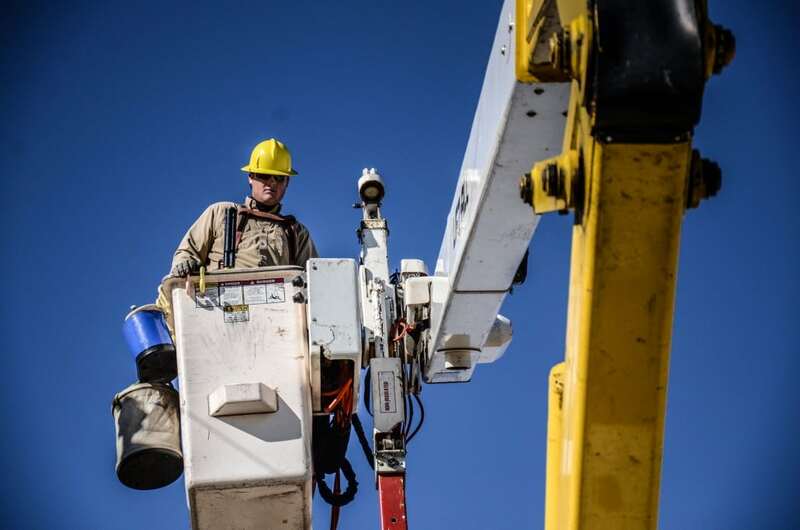 NASHVILLE – There are more than 700 electric co-op lineworkers in Tennessee, and on Monday, April 9, we pause to honor their service to the state’s rural and suburban communities on National Lineman Appreciation Day. Tennessee’s electric co-ops extend our sincerest gratitude to the hardworking men and women who keep the power on and protect the public’s safety. Electric co-ops maintain more than 86,000 miles of power line and keep the lights on more than 99.96 percent of the time. You can help Tennessee’s electric cooperatives honor lineman by posting on Facebook or Twitter with the hashtag #ThankAlineman.